B-Safe Multi-Appliance Lock | White | Specially designed to keep door safely locked. 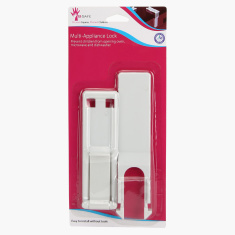 Make your home safe for your baby with the help of this handy multi-appliance lock. 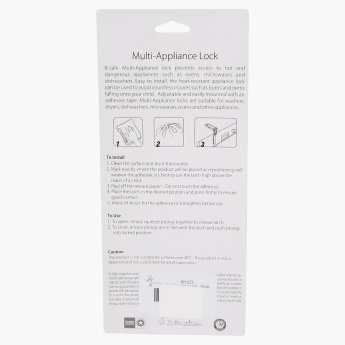 Owing to its smart design, this easy-to-assemble lock can be used to safely lock any door. Feature 2 : Easy to assemble. Feature 1 : Specially designed to keep door safely locked. Feature 3 : Multi -Purpose uses .